On Jan. 31, the Board of Commissioners voted to refund sewer capacity fees paid by Westland, Parkside and Willow Creek, three master plan development in the county, as well as for a proposed residential complex in Watkinsville. The fees were to reserve sewer capacity. That Jan. 31 decision by the BOC is now the subject of three lawsuits, including one by REO Funding Solutions, challenging the county refund of fees and withdraw of reserved capacity. The Commission, in turning down the Lovett-Keller request, made no reference to the Jan. 31 decision to refund sewer capacity, stating instead that the denial resulted from inadequate sewage treatment capacity at the county’s Land Application Site on Rocky Branch Road. The commissioners also heard from three applicants for the county’s Animal Services Board as well as applicants for two other citizen committees. Commissioner Chuck Horton asked each of the three candidates for appointment to the Animal Services Board if he or she had been to the county’s Animal Shelter recently. Audrey Ann Haynes said she had never been to the county’s Animal Shelter. Walter Rhyne said he had been at the shelter. Craig Greene said he had not been at the Animal Shelter in the last eight to 10 years. Three other applicants, incumbent Claire Hamilton, Kimberly Keenan, and W. Mark Dawson, were not able to attend the meeting. The Animal Services Board has three vacancies. 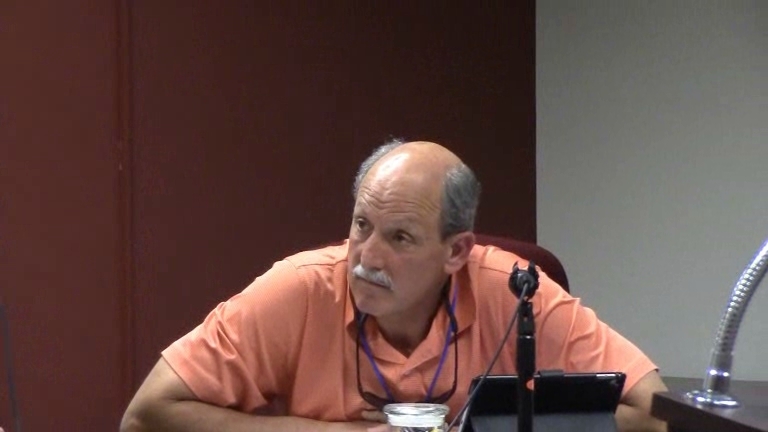 The Board also interviewed Laura French, the sole applicant for the Oconee County Library Advisory Board, and Rosemarie Newman, the sole applicant for the Family and Children Services Board and currently a member of that Board. Mary Mellein, the only applicant for four positions on the Keep Oconee County Beautiful Commission, also was not able to attend. The Board of Commissioners went into executive session at the end of the meeting to discuss personnel and other matters. It is expected to announce its decisions on committee appointments at the next meeting on Tuesday. The Commission also discussed a proposed door-to-door solicitation ordinance and a revision of the county’s alcohol ordinance but did not take final action on either. The solicitation ordinance would require those wishing to sell door-to-door in the county to register in advance, but it would exempt not-for-profit organizations. The Commission discussed changing the alcohol ordinance to allow persons 21 years old and older to own and manage restaurants that sell alcohol. The law at present states that a person must be 25 years old. The age for servers would be dropped from 19 years old to 18 years old. Both items are to be on the agenda at the next meeting on April 4. The Commission held a public hearing at its Feb. 28 meeting on the appeal by Lovett-Keller Ventures LLC of the decision by Oconee County Utility Department Director Haynie to deny its request for a transfer of sewer capacity for a subdivision in Bogart. Lovett-Keller wants to convert 28 acres that had been zoned for commercial development in Bogart into a residential subdivision and to have access to the county sewer system for that purpose. At the end of the Feb. 28 hearing, Commission Chair John Daniell said the Board would inform the parties within 30 days of a decision on the appeal. Commissioner Horton read a lengthy motion justifying the denial on the current treatment capability of the Land Application site, and the motion was approved unanimously. I attended the meeting last night, but I arrived just as the session was starting because I had been at a meeting in Veterans Park on the U.S. 441 widening. Sarah Bell produced the video of the BOC meeting, which is below. The discussion of the Lovett-Keller appeal is at 43:00 in the video. Discussion of the solicitation ordinance is at 24:30. Discussion of the changes in the alcohol ordinance is at 28:10. The beginning of the interviews for the citizen committees is at 0:45. OCO: BOC 3 28 2017 Complete from Lee Becker on Vimeo. The BOC stated that the county has capacity problems at LAS. Then one week later they approve another rezone that will send sewer to LAS. The BOC have there own agenda and lie to the citizens to validate their decisions. If there is a problem with capacity then stand your ground and don't show favoritism towards certain developers.